1. Design Excellence Awards (DEA) Singapore’s Panel of Judges unveiled. If you’re a designer who wants to join DEA 2015, then you’ll want to know who’s going to be evaluating entries from industry practitioners and design students from both Singapore and the Asia Pacific for IDEA (Interior Design Excellence Award) and SPADE (Spatial Design Awards). They are namely: Professor Ghyung-Sook Ghim, Chief Judge for DEA 2015 and President of KOSID (Korean Society of Interior Architects/Designers), Peter Tay, Director of Peter Tay Studios; Chris Lee, Creative Director of Asylum Creative and President of The Design Society; Richard Ho, Principal of Richard Ho Architects and Thrust Chairperson of Singapore Institute of Architects; George Budiman, President of IDCS; Antony Chan, Founder and Director of CREAM and Chairman of the Hong Kong Interior Design Association; and Francis Surjaesputra, President of HDII (The Indonesian Society of Interior Designers). Entries for DEA 2015 close on 25 September 2015, 2359 hours. For more information on the DEA, visit www.deasingapore.com, www.facebook.com/DEA.Singapore, contact the DEA secretariat at +65 6532 5127, or email dea@deasingapore.com. 2. Get immediately available, authentically designed (no replicas!) furniture delivered straight to your doorstep. 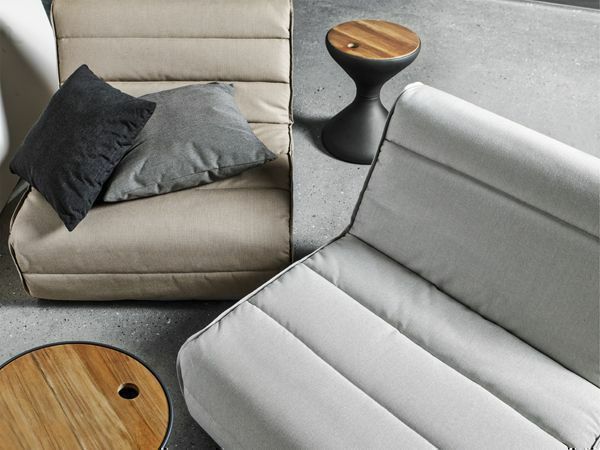 West of May, the world’s first online furniture marketplace guaranteeing all their products are authentic and immediately available has just launched in Singapore. The company’s policy—“no replicas, no copies”—means its carefully curated collection includes only genuine designer brands that have been screened for environmental accreditations. The products are kind to our planet, unlike replicas which are cheaply sourced and can contain dangerous chemical residues. As well as achieving super-fast delivery times of between two and 10 days, West of May offers a 100% money back guarantee and support via the website’s live chat operators, for the ultimate in customer service on demand. Visit their site at www.westofmay.com. 3. Indonesia-based architect creates a tropical home spiralling around a central green space. Architect Ivan Priatman is a proponent of tropical modernism, which he says is a reinterpretation of “the tradition or the vernacular into the contemporary.” His house in Surabaya, Indonesia was intended to move seamlessly from public living areas into the private office and bedrooms, spiralling around a central green space. The inner courtyard, made of concrete and plants, is his homage to Southern Californian homes where he and his wife lived prior to getting married. More details on their home here. 4. Mosquito problem? You’ll only need two things. A box fan, and window screen. Yup, it’s that easy. Check out this video. 5. Get into a calming, meditative state—then hang your art afterwards. If colouring books for grownups aren’t (or are) your thing, check out this new activity made for crafting and stress relief: a series of scratch-off projects called Scratch Night View. With a kit provided by Seoul-based studio Lago Design containing a wooden pen and some scratch-off illustrations, you can scratch away and reveal hidden gems of some of the most beautiful cityscapes in the world: Paris, New York, Seoul, Hamburg, London, Florence, Hong Kong, and other iconic urban centers. Lago Design does not ship overseas, but you can check out their eBay, Amazon, and Etsy accounts to purchase your own kits. Got design and furniture news to share? Email us at hello@cromly.com.